SKU: CB01. 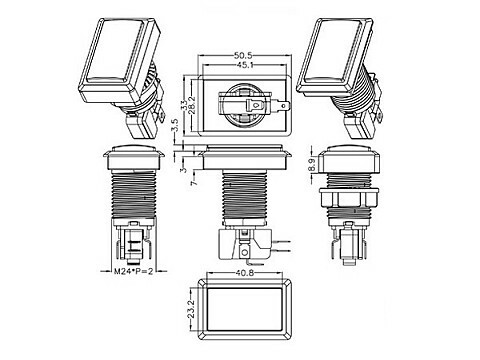 Categories: Coin Mechanisms, Pushbuttons, Virtual Pinball Parts. These are perfect for use in situations where a coin mech will not fit, or where you can’t justify the additional cost. Simply wire the microswitch of the button to the same circuit you’d normally use on a coin mech, then all you do is press the button to register a coin drop. 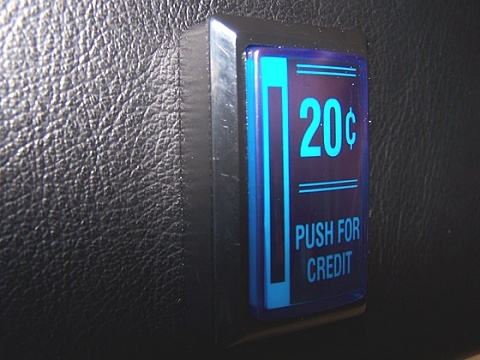 We print a high resolution label and insert it into our Rectangular Illuminated Pushbutton, which is then backlit using a 12v COLOURED LED to give superior colour saturation. The end result is a button of striking appearance and its purpose is immediately obvious to the user. Due to demand these buttons are available in Red, Blue, Yellow and Green. 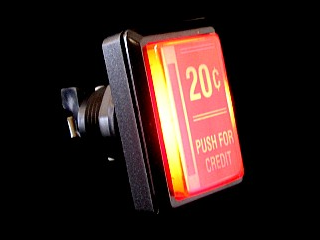 A microswitch and coloured 12v LED are included with each button.